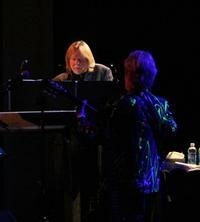 Jon Anderson and Rick Wakeman might be best known for their work in Yes, but that’s just part of the picture. Both have had extensive solo careers. Rick Wakeman over the years has built a reputation for himself in his solo live performances as not only a killer musician, but also a very funny (and rather risqué) man. Perhaps he’s considering a second career as a stand up comic. He’d have less keyboards to tote around and he’d probably do well. He is genuinely humorous. 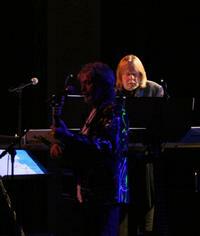 Anderson and Wakeman opened their US tour in Milwaukee, and it was a great show. 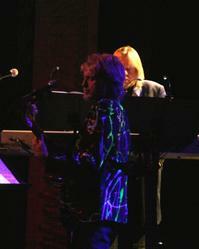 Sure, they did Yes songs, and some very interesting arrangements of them. They also did a lot of their recent album The Living Tree. First night of the tours can be a little problematic, but the show went off with few hitches. There were some truly magical moments in the performance. They played two one hour sets with an intermission. 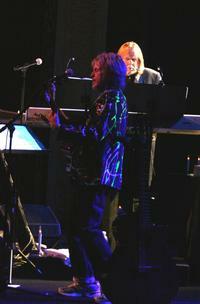 Anderson played guitar while Wakeman handled keyboards on two keyboards. Anderson was candid in telling a number of stories between songs and Wakeman certainly showed off a lot of that risqué humor. There were some real laughs. While this was certainly not a Yes concert (in a lot of ways it was more fun and it was certainly more intimate) it should have pleased any and all Yes fans in the audience. These guys are great musicians that seem to be genuinely good friends. 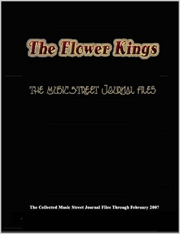 They are also great entertainers. Their show is highly recommended.